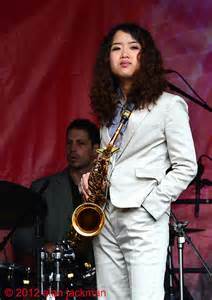 Northampton Jazz Workshop features guest alto saxophonist Erena Terakubo on Tuesday, May 10th, 7:30 to 8:30 PM followed by an open jazz jam until 10:30 PM at the The City Sports Grille at Spare Time Northampton, 525 Pleasant St., Northampton. In 2010, she recorded her first album, "North Bird" with Kenny Barron, Christian McBride, Lee Pearson, and Peter Bernstein. Later that year, she performed with Ron Carter, Omar Hakim, and Will Boulware as part of the Tokyo Jazz Festival. In 2011, Terakubo recorded her second album, "New York Attitude" with Kenny Barron, Ron Carter, Lee Pearson, and Dominick Farinacci, and she was chosen as one of just six Presidential Scholars from across the world to attend Berklee College of Music in Boston.